Behind every song is a story. Some of the richest stories come from the hymns-of-old and Sunday School favorites. Who isn’t familiar with the story of John Newton, former slave-trader-turned-clergyman writer of “Amazing Grace”? How can one not be touched by the tragic story of Horatio Stafford, the father who lost his children at sea and wrote “It is Well With my Soul” as he passed over the very spot where their boat sank in the Atlantic Ocean? Not surprisingly, most songs that endure the test of time touch the souls of listeners because of their powerful universal message. And usually those messages come from deep places and experiences of the writers. And the things of earth will grow strangely dim, In the light of His glory and grace. The opening line of the song – “O soul, are you weary and troubled, no light in the darkness you see . . .” – resonates with so many people, no matter time or place. The verses that follow, along with the chorus, bring comfort, challenge, and hope. Stories have been shared online about the impact of this song: it has been a comfort at the bedside of those who are sick and a favorite at funerals; it has been an encouragement during hard times and an “altar call” to give one’s heart to Jesus. It has been simply a daily reminder to people – in the midst of the busyness of life – to keep their eyes focused on Jesus. It “refills my soul” as one reader wrote and “moves me to tears,” as penned by another. 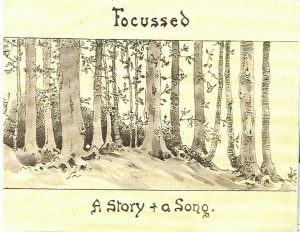 Brian and Sally Oxley – who had the vision to turn the story of Lilias into film – have also had the vision and desire to make better known the story of “Turn Your Eyes upon Jesus.” Knowing that Miriam Rockness’s first introduction to Lilias Trotter was actually through the same leaflet that inspired composer Helen Lemmel to pen “Turn Your Eyes upon Jesus,” they encouraged her to write the story behind this song and invited award-winning artist Tim Ladwig to illustrate it with his beautiful paintings. And so, their vision has come into fruition. 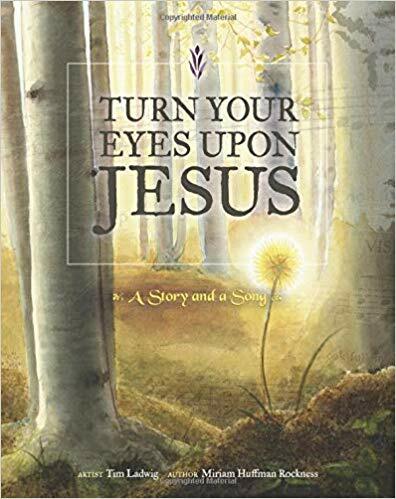 We are delighted to announce that Turn Your Eyes upon Jesus: A Story and a Song, is now available for purchase. This book is a lovely keepsake – both for yourself and to gift to others. Click here to purchase Turn Your Eyes upon Jesus: A Story and a Song.